Function rules are like instructions on how to change input values into their respective output values. 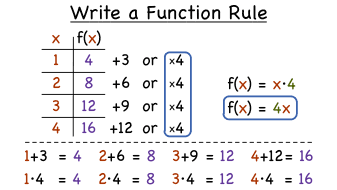 In this tutorial, see how to write a function rule for a given relation. Check it out!